As the wireless landscape evolves over the next few years, it’s important to make sure your organization is on the right side of connectivity history. Understanding traffic patterns and overall growth trends are crucial to effectively manage current network resources, as well as plan and budget for the future. 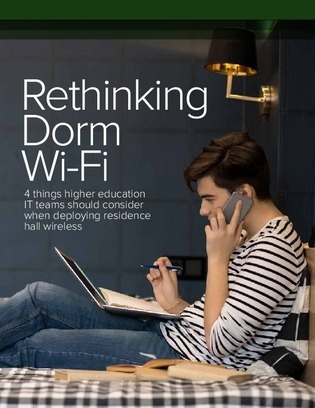 In this resource, learn how higher education institutions set up their networks for success with high-bandwidth, versatility, security and easy management.